Non-invasive skin treatments have become increasingly popular over the years due to little to no down-time, and stunning results. Whether it is treating a specific skin concern, or overall skin rejuvenation, our non-invasive IPL/laser facials sets new standards providing clearer, smoother, and youthful skin. At Tao Cosmetics, our goal is to treat every skin type, treat a variety of skin conditions and give the best results possible. With our 1064nm laser, due to its depth penetration, we can address skin concerns safely and effectively on darker skin types. We also offer a skin rejuvenation facial that evens out skin tone, reduces pore size and appearance of aging/damaged skin. 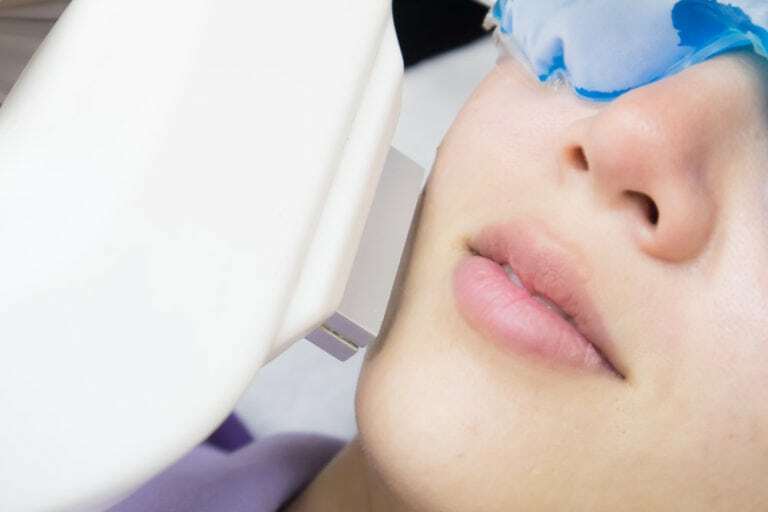 During your IPL photofacial, your eyes will be covered throughout the treatment with protective eyewear to protect the eyes from bright flashes of light. A warm sensation or a light “snap” from a rubber band is to be expected on the area being treated. With our built in cooling tip and cooling gel, the sensation should be very mild and mostly cool throughout. Depending on the size of the area of treatment, sessions last from 30 minutes to one hour. Through your laser facials, eyes will be covered with protective eyewear. The laser will feel warm on the area being treated. Following the procedure, although unnecessary, icing down the area of treatment to minimize discomfort may be provided. The best candidates for IPL photofacials are those who are untanned and have a fair complexion. Darker skin types, patients with melasma, pregnant women and those who are breastfeeding, are not ideal candidates. Laser facials are a great option for all skin types and for patients with melasma as well.